Frostbite is a serious cold-weather condition that can cost you anywhere from your toes to your whole foot if it gets out of control. Protecting yourself from the cold and treating frostbitten feet immediately is the key to eliminating the damage and saving your lower limbs—or any other affected area. Frostbite is a progressive problem with three stages: frostnip, superficial damage, and deep or severe damage. Your extremities, especially your feet, are the most vulnerable to it, though your hands and face are prone to the problem as well. Frostnip is the mildest stage and only affects the surface of your skin. Your feet will feel cold, somewhat numb, and possibly tingly. Your skin may appear reddened. Superficial frostbite involves damage deeper into the skin. Your feet may turn a pale grey-yellow or a white-blue color. Ice crystals start to form in your tissues, but your feet might actually start to feel painfully warm. Severe frostbite involves all your skin layers and the tissues below them as they freeze deeply. Your feet or toes will turn hard or waxy and feel extremely cold to the touch, though you may not notice any pain. Your joints and muscles may no longer work properly because they are frozen. After a little while, the affected tissue will turn black as it dies. This injury can involve permanent damage to your feet. Unfortunately, anyone can develop frostbitten feet if they are exposed to cold enough temperatures for too long. People with poor circulation from other conditions have a higher risk for the damage, since they don’t have a strong blood flow in their feet to keep those extremities warmer. Being in a high altitude with low oxygen can negatively affect you as well. Frostbite can actually lead to amputations or potentially deadly infections if it’s not dealt with quickly and appropriately. However, mild frostnip can be treated at your home simply by warming up your feet carefully. Get inside to warmth as quickly as possible and remove any wet socks, boots, or other clothing. Run room-temperature or slightly warmed water over your cold feet for a few minutes to warm them up and restore circulation. If you have anything more severe than a mild case, however, you’ll need professional treatment. Podiatrist will evaluate the damage to determine its extent, and then help you begin the warming up process. This will have to be done carefully to manage pain, swelling, and other side effects. Severe damage may need emergency procedures to prevent gangrene and further complications. The key here, is to get early treatment. You can avoid frostbitten feet by simply taking precautions. Wear warm, moisture-wicking socks. Consider layering thick socks over thin ones to help trap heat. Always wear warm, waterproof winter boots out in cold temperatures. Make sure your boots are designed to handle the temperatures you’ll be exposed to. Limit how much time you spend in the cold, too. Frostbite can happen to anyone, from the most experienced winter athlete and outdoorsman camping in the mountains to your neighbor shoveling her driveway. It isn’t something to blow off. Your feet are too important. Take care of your feet this winter! 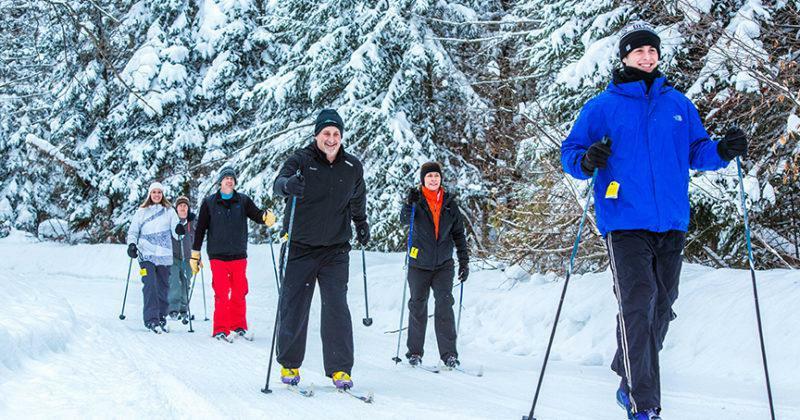 Winter Sports - tips from your podiatrist.